Wills can tell us all sorts of things about the lives of people in the past, and are a brilliant resource for genealogists and social and economic historians alike. 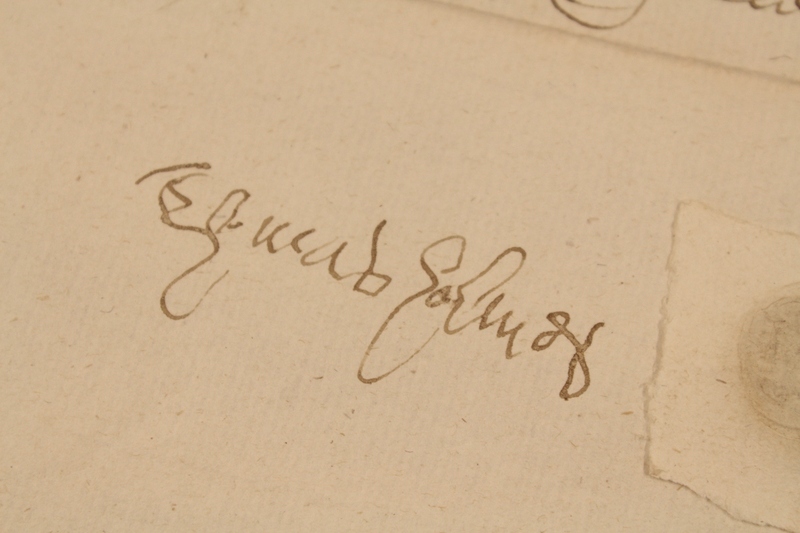 As we have mentioned before, our collections include some 70,000 original wills made by people in Essex between 1400 and 1858. 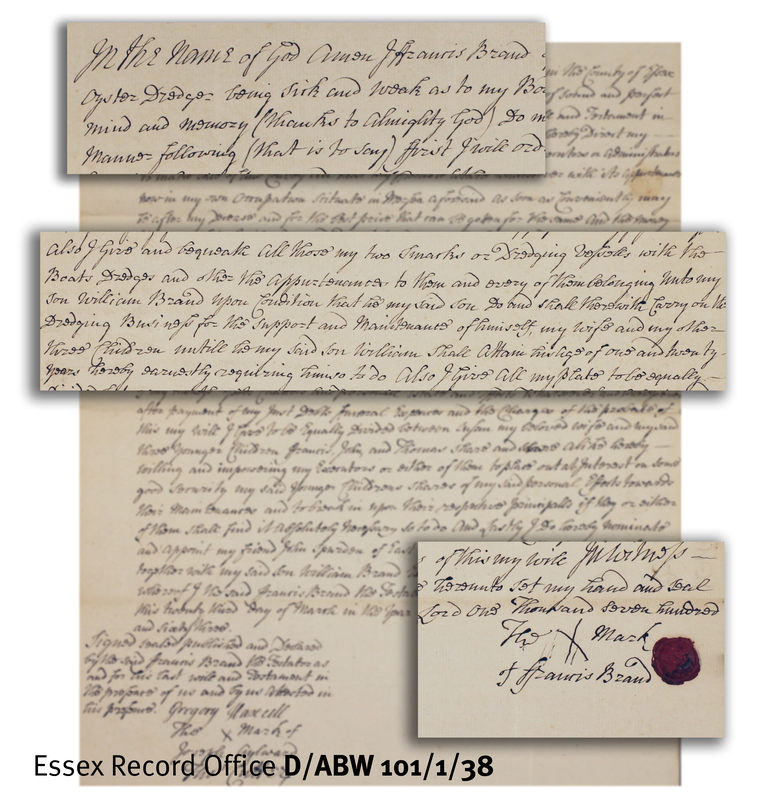 These wills have all been catalogued and digitised, and can be searched for by name and viewed on our online subscription service Essex Ancestors. We have now begun work on an additional set of records which can help to fill in any gaps in our series of original wills, which will ultimately result in about 10,000 more wills being added to Essex Ancestors. Before 1858 when somebody died leaving a will, their executor would take the original will to the relevant court so that probate could be granted. The original wills would be kept by the court and filed; it is these wills proved in the ecclesiastical courts in Essex which have been digitised and are available via Essex Ancestors. Clerks at the courts would also usually write out a copy of the will into large volumes called will registers (references beginning D/ABR, D/ACR, D/AER and D/AMR). There are approximately thirty 16th and 17th century registers for the courts in Essex where there are no original wills surviving. 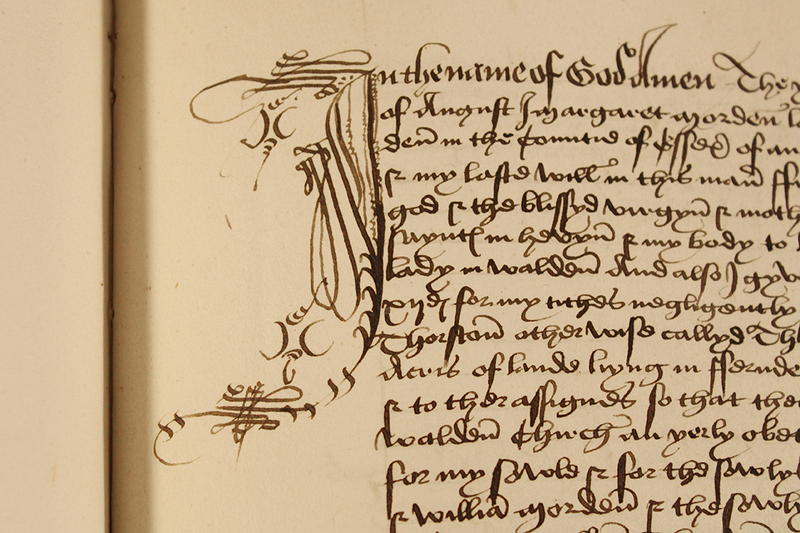 The will registers are books into which clerks copied wills being proved at the ecclesiastical courts. Sometimes a will might survive in the book when the original copy of it has been lost, providing a useful second chance for researchers. The wills in the registers are listed in the three volumes of Wills at Chelmsford, but do not currently appear on Seax. To make these records easier to find, we have started a project to add the details of individual wills in the registers to Seax, so they will be searchable by name. To begin with, only a written catalogue description will be available, but in the long term we plan to add digital images too. In the meantime, registered wills are viewable on microfiche in the Searchroom, or copies can be ordered through our reprographics service. The first register for which details have been added to Seax is that for the archdeaconry of Colchester (D/ACR 1) which covers the north of the county for the years 1500-1515. Some of the wills in the volume are in Latin and as it dates from before the Reformation, the testators would all have been Roman Catholic, evidenced by the use of Catholic phraseology such as ‘I bequeath my soule to almyghte god and to our blessed lady saynt mary and to the holy all hallowes’, which appears in the will of Roger Burgon of Colchester below. Following the English Reformation and the invention of the Church of England references to Mary and the saints all but disappeared. 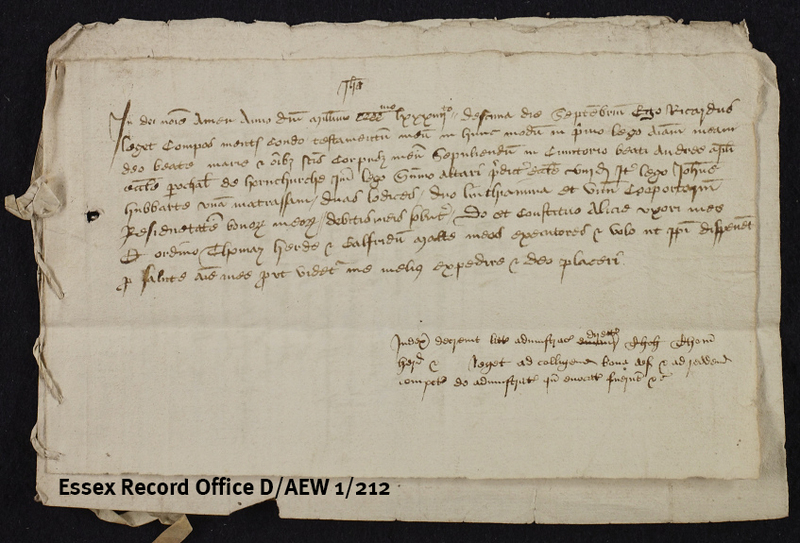 Roger Burgon’s will is dated 16 December 1507 (D/ACR 1/127/1). After bequeathing his soul to God he went on to request that his body be buried in the Church of St. Francis within the Convent of the Friars Minor [Greyfriars] in Colchester. The majority of the wills are for men, but a number of women do appear, such as this one for Agnes Tomson of the parish of St Leonard in Colchester, dated 8th December 1502 (D/ACR 1/50/5). Agnes’s bequests included a ‘blake gowne’ (black dress), a ‘petycote’, a ‘greene gowne’, a ‘russet gowne’ a ‘floke bed’ (flock bed), pots, plates and a kettle, a ‘blankett’, a ‘bolster’, and a ‘long knyff’ (knife), all of which helps us build up a picture of Agnes’s life. If you would like any further advice on using wills in your research, please ask a member of staff in the Searchroom or contact us on ero.enquiry@essex.gov.uk. 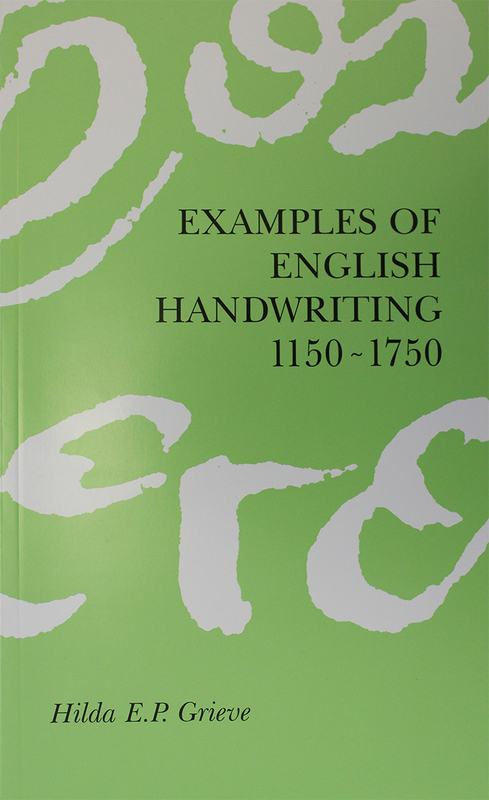 If you would like any help with reading old handwriting, our publication Examples of English Handwriting 1150-1750 by Hilda Grieve is a very useful guide. It can be purchased for £6 (+P&P) from the Searchroom or by phoning 033301 32500. If you get really stuck, our Search Service can transcribe wills for you – please contact ero.searchroom@essex.gov.uk for details. Most medieval Essex wills relate to the nobility and major landowners. These were proved at the courts of the Bishop of London and the Archbishop of Canterbury and are not deposited in the Essex Record Office. However, during the 15th century, making a will became more common and a small number of 15th century wills survive among the records of the archdeaconry of Essex (D/AEW). 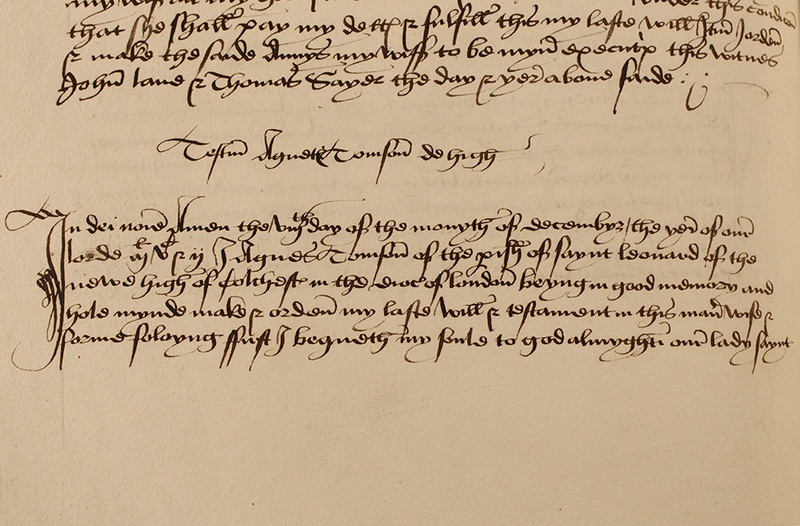 Among these is the will of Richard Leget of Hornchurch, dated 10 September 1484 (D/AEW 1/212). The will itself is in Latin and Leget begins by leaving his soul to God, the Blessed [Virgin] Mary and all the saints and his body to buried in the parish church of St. Andrew. He made a bequest of 8d. to the ‘Lord Abbot’ there [at Hornchurch] (there had been a priory in the parish until it was dissolved and granted to New College, Oxford in 1391). He left to John Hubbart a mattress, two blankets, two linen sheets and a coverlet, requested that all his debts be paid and left everything else to his wife Alice. 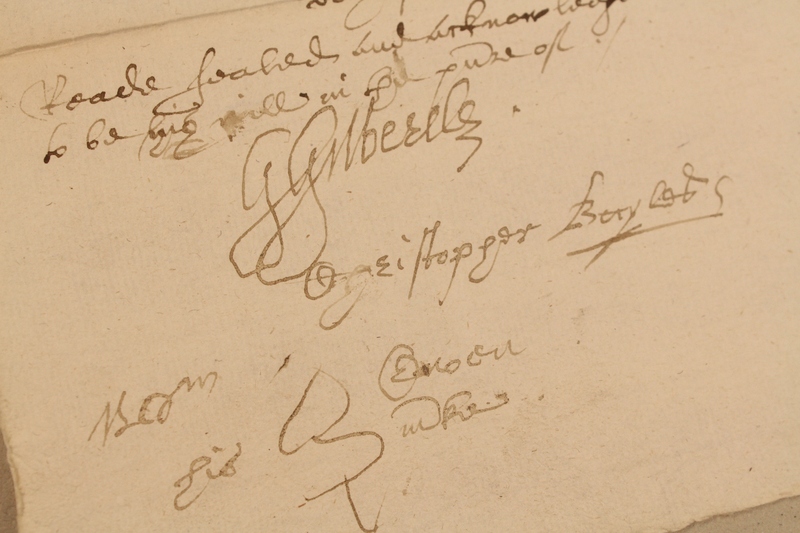 On the reverse of the will is a list of his debts, giving names and amounts. There are two further lists in English stitched to the will. 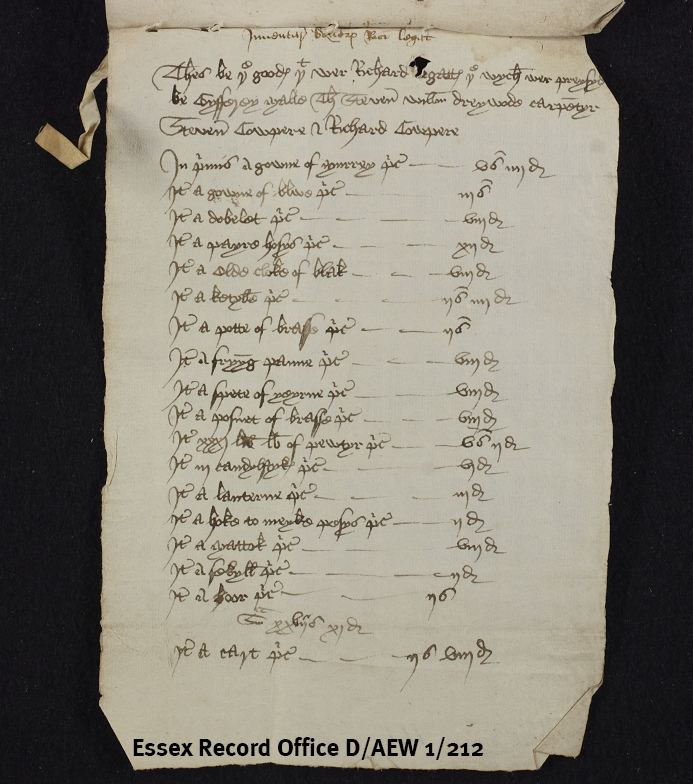 The first of these is a list of money spent on the burial by Thomas Herde, one of the executors. A total of 12s. 9d. was spent and amounts included 16d. for a ‘wyndyng cloth’, 14d. to the priest and clerk for the ‘deyrge’ [dirge] and mass, 4d. for ‘lyth’ [light], 8d. for the knell and priest, 8d. for bread and 12d. for ale, 21d. 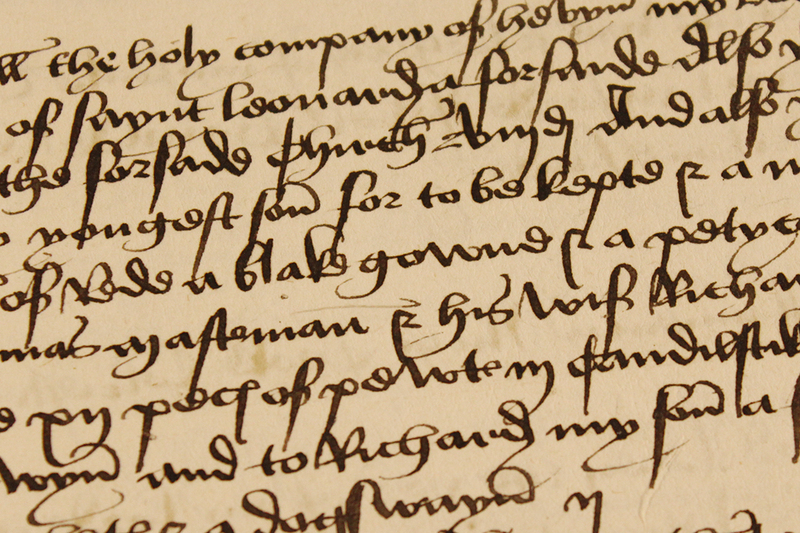 for ‘month mynde’ paid to the priest and clerk and 12d. to the sexton for the grave. There is also an inventory of his goods, beginning with his clothes – a gown of murray worth 5s. 4d., a blue gown worth 3s., a doublet worth 8d., a pair of hose worth 12d., an ‘olde cloke of blak’ valued at 8d.. It continues with household goods including a kettle valued at 2s. 4d., a brass pot, 2s., a ‘fryyng panne’ 8d., and also includes a brass posset (8d. ), 31lbs. of pewter (5s. 2d. ), three candlesticks (6d. ), a ‘lanterne’ (3d. ), a mattock (8d.) and a cart (2s. 8d.). 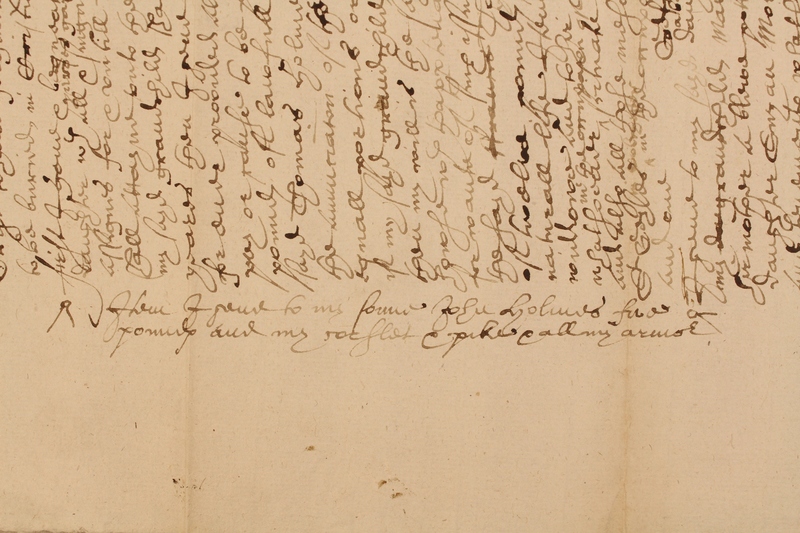 The recent upload of 22,500 wills to Essex Ancestors means that images of all our wills before c.1720 are now available online. 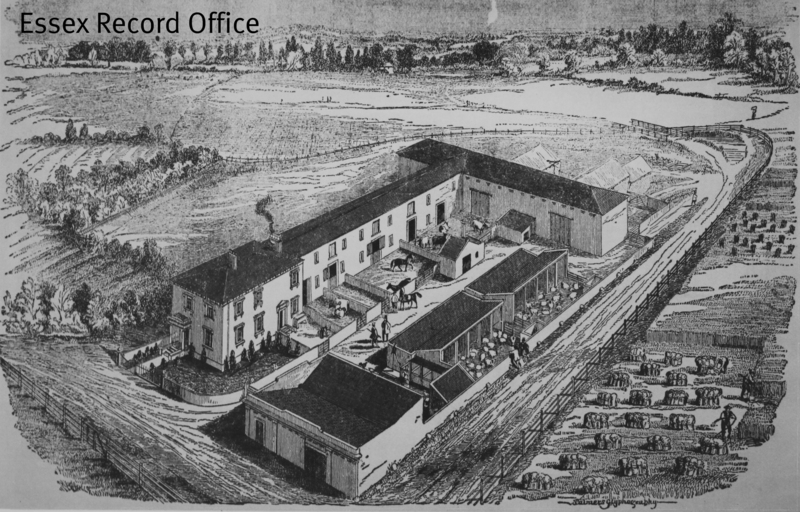 You can access Essex Ancestors from home as a subscriber, or for free in the Searchroom at the ERO in Chelmsford or at our Archive Access Points in Saffron Walden and Harlow. 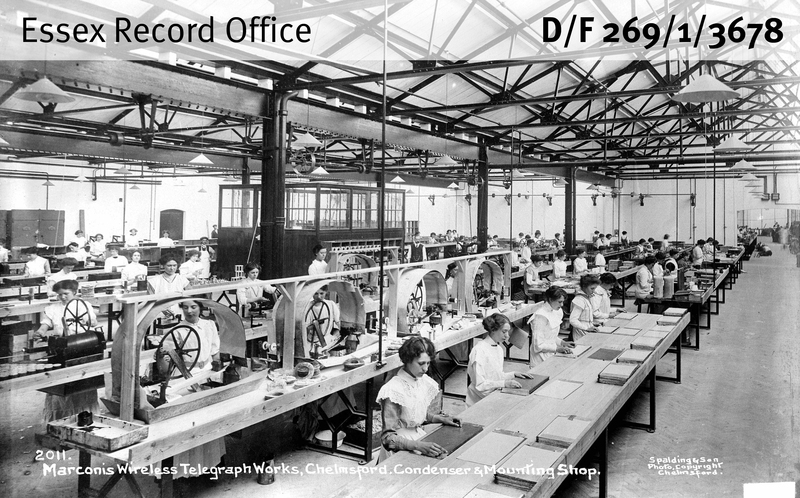 It will shortly be provided at Waltham Forest Archives. Opening hours vary, so please check before you visit. 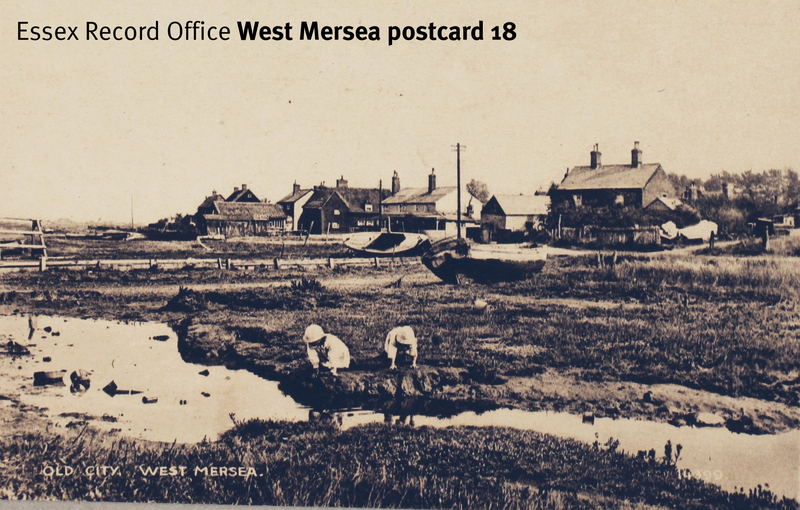 You can view a handy video guide to using Essex Ancestors here. Greetings from Bangkok, where I hope I have the distinction of being among the ERO’s more far-flung correspondents. As an Ottoman art historian-turned-PR consultant, genealogy has been a means to maintain my interest in archival research while languishing in the private sector. Tracing my American patrilineal ancestry started out easy: most colonial New England descents are fairly well documented, and armed with the name of a great-great grandfather, two articles on the descendants of John Holmes, gentleman, Messenger of the Plymouth Colony Court by distinguished genealogist (and cousin) Eugene Stratton quickly took me back twelve generations. The original Mr. Holmes was by all accounts something of a rogue, frequently cited for drunkenness, and the executioner of Thomas Granger, the first person hanged in the Massachusetts Bay Colony, for unlawful congress with animals. After that the going got tougher. American genealogists have historically been content to end their research with arrival in the New World (why ever would we go further? ), but to do with my teenage years spent in the UK, and inspired partly by David Hackett Fischer’s book Albion’s Seed, I became determined to the trace the Great Leap across the pond. It wasn’t entirely tabula rasa: George Mackenzie, in his Colonial Families (1925) cites a Thomas Holmes of Colchester as John’s father, but without further reference. 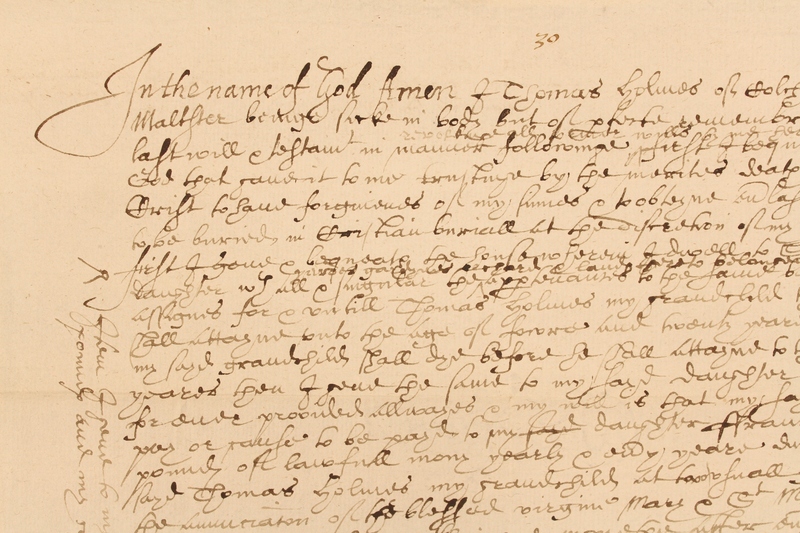 Thomas’ will, dated 1637, is preserved in ERO (D/ACW 12/225): gentleman alias maltster alias gaoler of Colchester Castle, he leaves “five pounds, my corslet, my pike, and all my armour” to his son John. The will also mentions a daughter, Susan Mor(e)ton, the widow of Tobias Moreton, gent., of Little Moreton Hall, a half-timbered manor house which still stands in Cheshire. 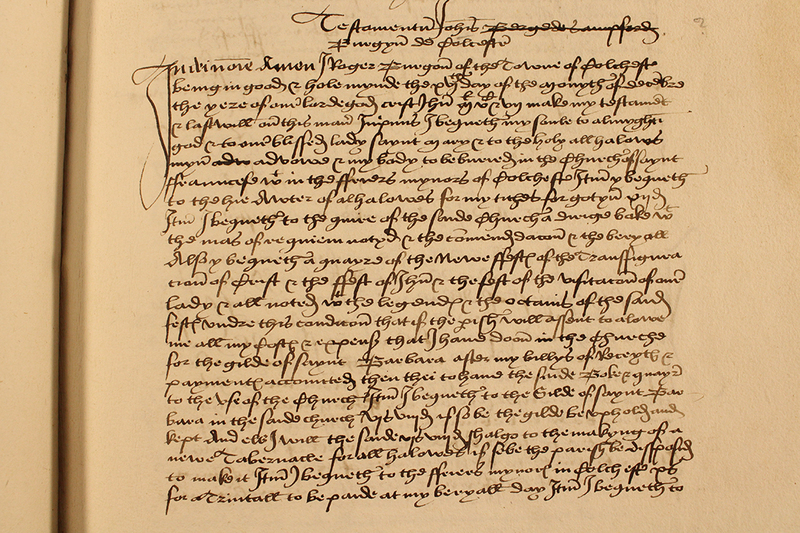 Susan’s will, unearthed by chance in the Prerogative Court of Canterbury, confirms Mackenzie’s assertion: she mentions her nephews (John’s sons) Thomas (who remained in Colchester), John, and Nathaniel, my great x8 grandfather. Along with a number of noted Colchester Puritans, the will is witnessed by George Gilberd, esquire, brother of William Gilberd/t, physician to Elizabeth I. Certain prosopographical observations can be made here. Humphrey Tyrell of Warley was a younger son of the Tyrells of Heron, probably a nephew of the Sir James executed for the murder of the Princes in the Tower. Howard was his clerk. 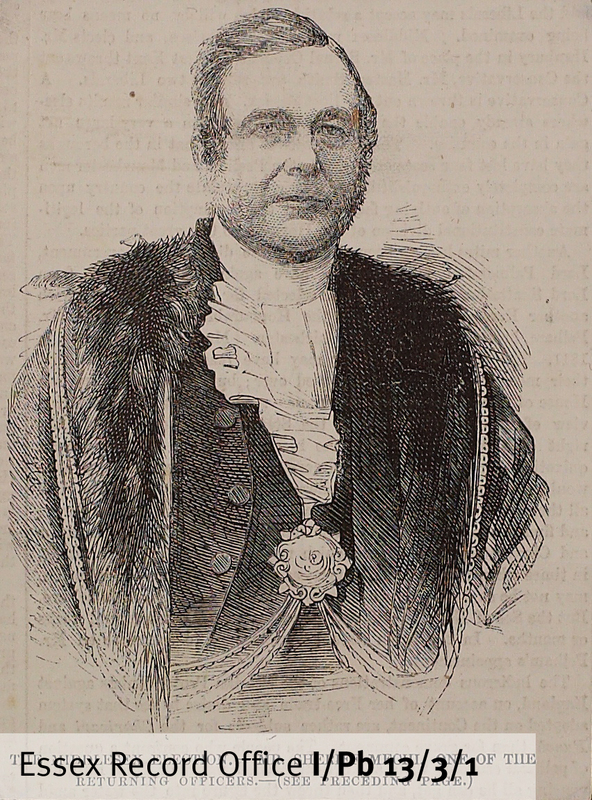 Hintlesham was an MP for Maldon, and Rede was probably the nephew and heir of Sir Bartholomew Rede, Mayor of London. All were in the circle of John de Vere, 13th Earl of Oxford. The identity of William Holme remains a mystery; there are two or three of the name active in London at around the same time, all probably in the cloth trade. Here the trail ends, for the time being: any thoughts or suggestions on the part of the ERO community as to how to proceed are much appreciated; I can be reached at Denwood_Holmes@yahoo.com. I conclude with a special thanks to Allyson Lewis, Katharine Schofield, and all of the staff at ERO for their help and support which regularly goes above and beyond the call of duty, extending unto providing me with pencil-rubbings of seals by mail here in Bangkok; having worked in archives from London to Damascus I say unequivocally that ERO is lucky to have you. Do you remember our friend Sargant Wilson? At the beginning of October we discovered his marriage licence which told us that in 1834 at the age of 60 he married Karenhappuch Morgan, ten years his junior. We have come across the couple again although unfortunately in less happy times. This document is an admission onto copy hold land (D/DCf M73). This is a type of land holding used when land is part of a Manor. The people who hold land from the Manor are recorded in the Manor Court Roll along with any payments or rents that they are due to pay as well as a description of the land and its previous owners. The new landholders are then provided with a copy of that entry in the Court Roll, hence the name ‘copy hold’. In the recitals of this particular example from Southminster in 1844 (ten years after his marriage) we are told that Sargant Wilson has died. The land that he held has been passed back (surrendered) to the Manor. 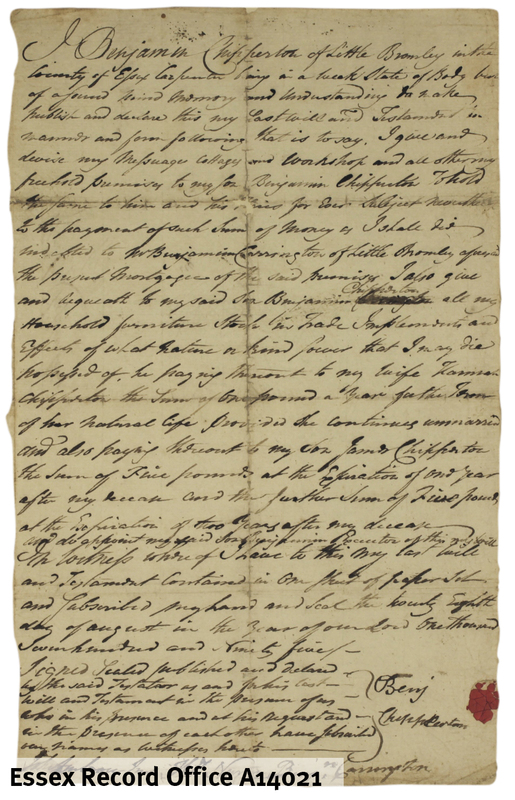 The admission then goes on to say that Sargant Wilson left the land to his wife by his will which is quoted at length, describing the property and revealing that it was bequeathed to him by his former wife Dorothy and that he had a son who predeceased him. It goes on to admit his second wife Karenhappuch onto the land in his place and collects a fine or payment for doing this. This just goes to show that family history can move far beyond the usual records of births, marriages and deaths. 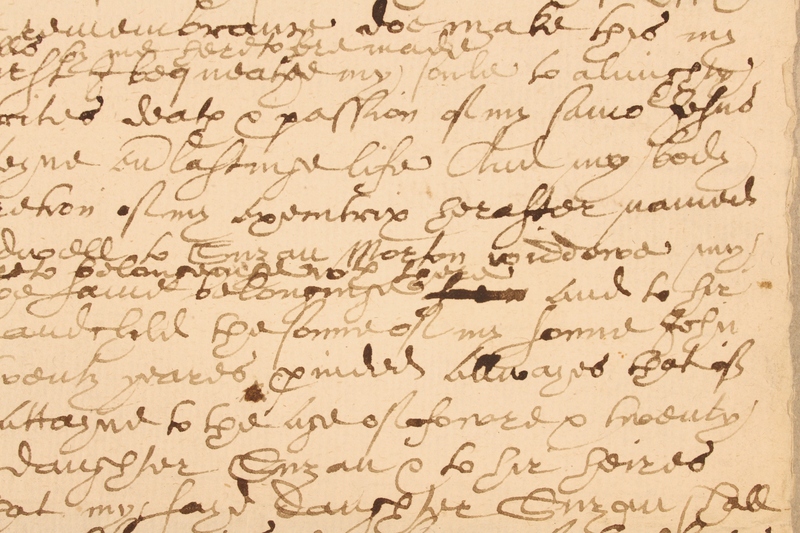 We now know that Sargant Wilson had a previous marriage to a Dorothy with whom he had a son, he had written a will, held land in the Manor of Southminster and we have a rough date for his death, all from one document. You can search for deeds on Seax by the name of a person or property. 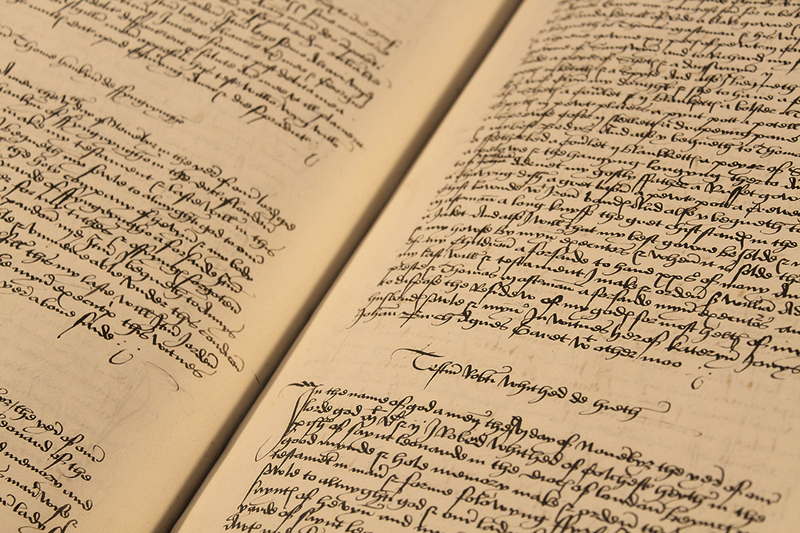 Not all deeds are catalogued to this level of detail however, in which case manorial court rolls may be helpful. These records can be challenging, but as we have seen in the case of Sargant Wilson they can also be extremely rewarding, not only for family history but for house history and local history too. If you would like any further advice, then talk to ERO staff in the Searchroom, e-mail us on ero.enquiry@essex.gov.uk, or telephone 01234 244644.